Explanation: The bright edge of planet Earth fades into the darkness of space in the background of this view of Jules Verne on an extraordinary voyage. 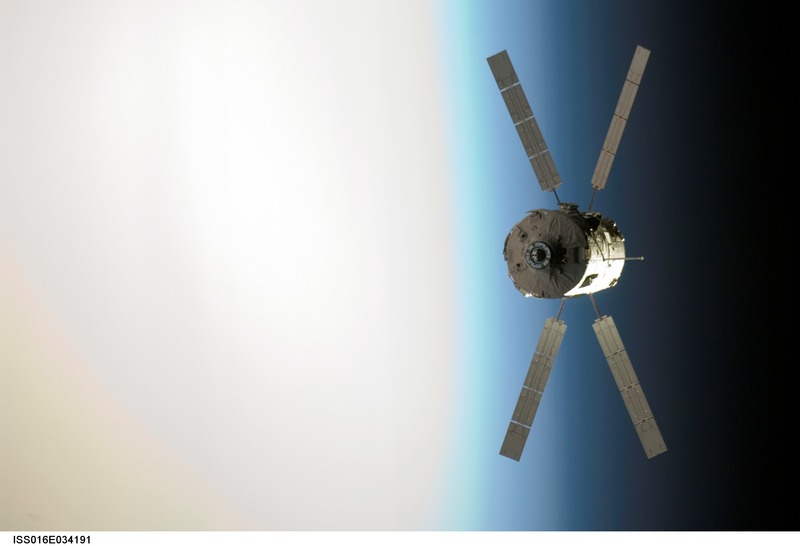 Snapped last Monday, the picture shows the European Space Agency's Automated Transfer Vehicle (ATV), named for the 19th century science fiction writer and visionary, rehearsing its autonomous docking capability on approach to the International Space Station. Using a laser guided rendezvous system, the Jules Verne docked smoothly and safely with the orbiting station on Thursday, delivering 7,500 pounds of equipment, supplies, and fuel. 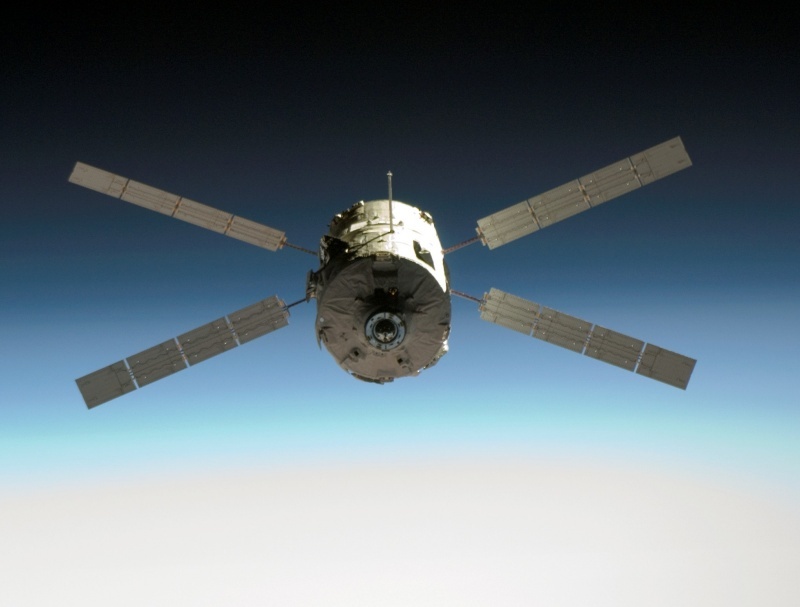 The cylindrical body of the robotic cargo spacecraft is 4.5 meters in diameter and 10.3 meters long, with solar arrays spanning 22.3 meters. Jules Verne is scheduled to remain docked until August, providing a reboost for the space station before the ATV is deorbited.